As with any medium, trends within the architecture and design world are constantly changing and morphing. With these trends, we’re able to become more innovative, and see more creative answers to challenges architects and builders have faced for years. We accept these trends with open arms! There’s nothing better than finding new and better ways to create. Here are three architecture trends that have become more popular in 2018 that we are loving. The coming generation of millennials desire more customizable spaces. Most families are opting for saving to build a custom home, rather than buying an existing homes. 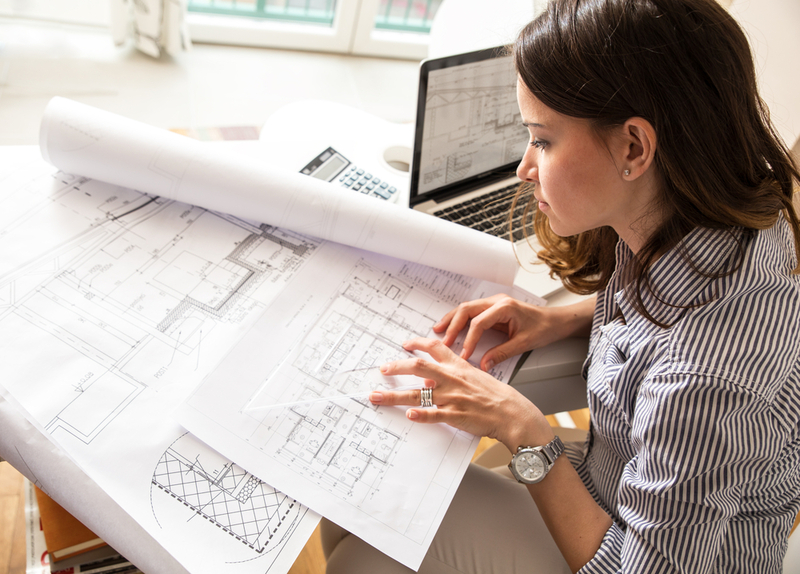 Start homes and cookie cutter floor plans are slowly becoming something of the past. One aspect of a customizable home that has gotten increasingly popular is flexible living spaces. A dedicated kitchen, living room, and dining room aren’t exactly necessary anymore. Instead, large multipurpose rooms are taking their place. Kitchen elements, such as countertops, cabinets, and appliances should be in harmony with the rest of the home. The best way to achieve these open rooms, you should consider sliding doors, pocket doors, and other movable doors, in addition to open floor plans that make these rooms harmonious with each other. Why wouldn’t you want a smart home? Home technology should be easily integrated into the makeup of the home. Appliances that have smart technology that can be controlled remotely are a must, and new homes should be built with WiFi capabilities in mind for optimum connectivity based on the size and layout of the home. Sustainable and eco-friendly buildings are important to many first time home buyers. In fact, most millennials are willing to spend more money on a home that is made with sustainable materials than a home that is not made with this same care. Consumers know the importance of their carbon footprint and are doing everything that they can to lower this footprint. Their home should be sustainable, to fit in with the rest of their sustainable lifestyle. Buildings should be built with extra attention to insulation, energy efficient appliances, and ensure that the building is well sealed.